We were pleasantly surprised to find many people at the Art of Living Ashram looking forward to Sri Krishna Janmashtami Celebrations. Krishna Janmashtami, also called Gokulashtami, celebrates the birth of Lord Krishna. Many educated urban Indians, we knew, thought of Janmashtami as just another holiday for indulging in good food and putting their feet up. But here the story was different. 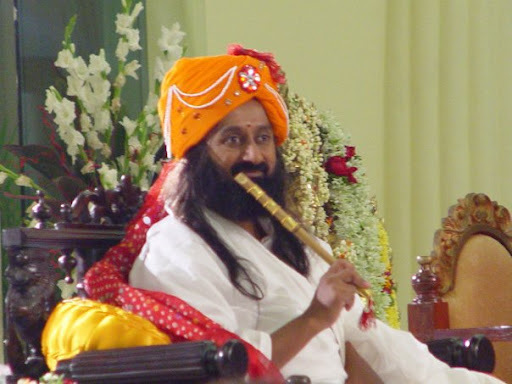 Probbaly, because of the gusto and fullness with which the celebrations are held in the presence of Sri Sri Ravi Shankarji. From Makhan Mishri and Chappan Bhog to rocking Krishna bhajans and beautiful decorations, the festivities make one feels so complete and fulfilled. Well, Krishna himself is supposed to be a “Purna Avatara,” complete in all aspects! Seeing Krishna reverentially and fondly as a complete incarnation of Divinity is deep rooted in the Indian tradition. How about taking a look at Sri Krishna as a historical figure? The practice of Sri Krishna’s birthday being celebrated year after year for 5000 years, confirms that he is a historical figure. This year we celebrate 5124th birthday of Sri Krishna. Krishna’s birthday is called by different names such as Janmashtami, Sri Krishna Jayanthi, Gokulashtami and the likes, since Krishna was born on the 8th day of the increasing phase of the moon, which in the Indian Calendar System is called Ashtami. The word Ashtami is etymologically similar to Octa in Greek, from which comes the word ‘eight’ in English. Janmashtami: Since Krishna was born on the day, which was the 8th phase of the moon (Ashtami) and Janma means “birth”, the day when He was born is called Janamashtami. Gokulashtami: As Krishna’s birth was celebrated first in Gokul, Vrindavan, the day is also called Gokulashtami. The word Gokula means, “place of cows”, Go meaning “cow”, and Kul meaning “lineage”. Gokula is the place of the lineage of people who nurtured cows. Even though Krishna was born in Mathura, His father was in chains along with His mother in prison, where they could not celebrate His birth. They sent him away to safer place, away from His maternal uncle, the vile Kamsa. So, His birth was first celebrated in Gokula, Vrindavan and this day is also called Gokulashtami. Sri Krishna Jayanthi : Krishna’s birthday is also called Sri Krishna Jayanthi. Why is it called a Jayanthi? Some aspects in astronomy continue to remain mysteries. Ancient Indian astronomers seem to have fixed certain nomenclature for certain configurations, besides the names of the stars. Those that occur at Punarvasu star is prefixed with Jaya. Jaya Mahadwadasi is the Dwadasi, 12th phase of moon, during Shukla Paksha, bright fortnight and when the moon is found at the Punarvasu star in Gemini constellation. Similarly, Jayanthi is prefixed when the moon is at the Rohini star, Aldeberan in Taurus. Nasini is prefixed when the moon is seen at the Pushya star in Gemini constellation. Vijaya is prefixed when the moon is seen at the Sravana star in the Aquarius constellation. Ambedkar Jayanthi and so on…..
Jayanthi has become popular because of her association with Krishna! 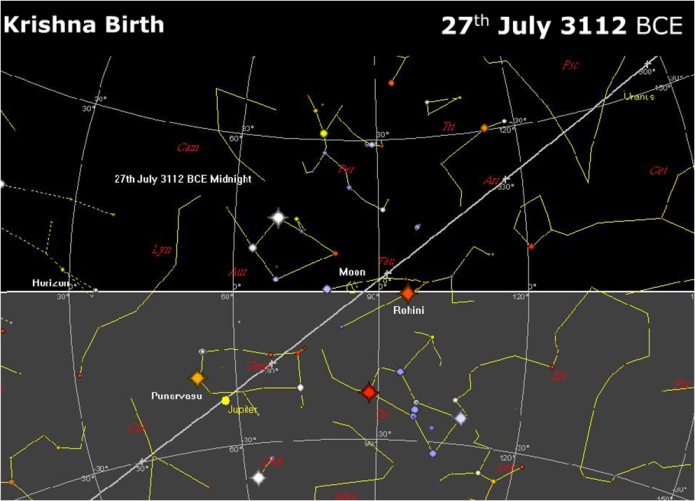 From the unique star configuration described in the Puranic texts and searching for the same back in time, using the planetarium software, one can date the star position when Krishna was born in the prison at Mathura. The date of His birth in the modern calendar works out to 27st July 3112 BCE. Krishna was born in 3112 BCE. This year is 2012 CE. The difference between 3112 BCE and 2012 CE is 5124 years. So, this year we are celebrating the 5124th birthday of Krishna. Every year, Janmashtami reminds us to celebrate the historical, the divine and the adorable Krishna along with all the knowledge that He gave us through his life and the Bhagavad Gita. 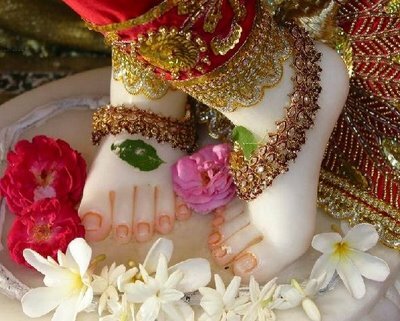 Krishna always stands with a perfect balance — with one foot firmly on the ground, the other foot crossed over, as though it is touching, but not really touching. Life is about balance. Through his life Sri Krishna showed how to balance materialism and spirituality. He ruled the country, advised as minister and so on… and He gave the highest knowledge to Arjuna and Uddhava. Hence the most authentic way of celebrating Janamashtami is knowing that you have to play a dual role — of being a responsible human being on the planet and at the same time to realize that you are above all events, the untouched Brahman.This could perhaps be the secret of Krishna’s ever present smile even though his life was filled with troubles of many kinds. Imbibing a bit of avadhoot and a bit of activism in your life is the real significance of celebrating Janamashtami. On the auspicious occasion of Sri Krishna’s birthday, let us renew our commitment to imbibe these noble virtue of Krishna in our everyday lives. Happy Janmashtami to you and your near and dear ones. Reblogged this on Dhavalsharma’s Weblog. Art of Living and Bharat Gyan will soon release a book “Historical Krishna.” Those of us who have read the Historical Rama know that this is going to be another phenomenal work and a must read for anyone interested authentic Indian History. So Watch out folks, the release is round the corner! Krishna means the most attractive. It is the divinity that is the most attractive; the energy that pulls everything to it. Krishna is the formless center which is everywhere. Any attraction from anywhere is coming only from Krishna. Often people fail to see the spirit behind the attraction and merely hold on to the outer shell. And the moment you try to possess the shell, you will see Krishna has played a trick and you will be left with an empty shell in your hands and tears in your eyes. Be clever like Radha — don’t be tricked by Krishna. Krishna could not escape from Radha, for her whole world was filled with Krishna. If you can see that wherever there is an attraction, there is Krishna; then you are Radha, you are in your center. The mind moves towards beauty, joy and truth. Krishna tells Arjuna, “I am the beauty in the Beautiful, the strength in the Strong, the wisdom in the Wise.” In this way he arrests the mind from moving away from him. Krishna reveals this Knowledge to Arjuna because he is Anasuya. Next week we will see what is Anasuya. I’m a composer who just released his first devotional song on YouTube. It is on Lord Krishna & Radha. Below is the link to the song. Please listen and comment / provide your feedback.